"Hi! I just wanted to say thanks so much. The guys just came and removed all my junk. I'm sorry I forgot their names, but they did a great job. They were really quick, and did an excellent job sweeping up afterwards. Thank you so much for the fantastic service!!!" "What a wonderful experience using this service JoeJunk! Juan and Conner were hard working, respectful, and professional. I highly recommend 1855joejunk.com!" 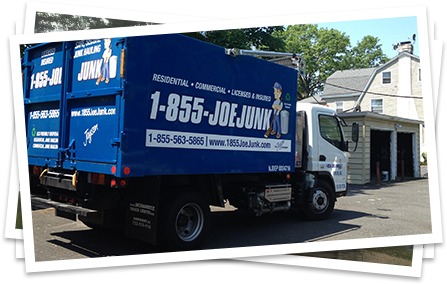 "Fantastic experience today with 1-855-JoeJunk, part of The Jayson Company! They did a huge cleanout at my client's home. Arrived on time, a herculean effort, respected the property and they even swept up. Thanks to Conner, Juan and Ken. Highly recommend."